After receiving a lot of flack for taking it easy on shamed congressional pal Anthony Weiner, Jon Stewart took Tuesday night’s “Daily Show” as an opportunity to make amends, though he ended up bleeding for his cause. Stewart broke out a blender, making a margarita (strawberry, we think) to sip on instead. While pouring, Stewart broke the glass, cutting his hand. 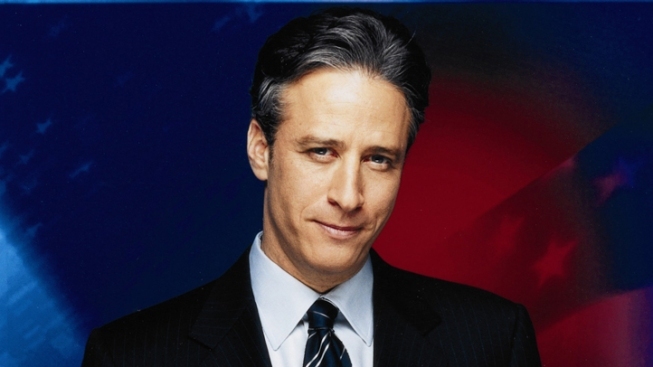 Once he regained composure, the late-night comedic pundit also apologized to his viewing public for being “too lazy” to write jokes on last night’s “Daily Show,” as Weiner’s press conference aired live at 4:30 that afternoon, and Stewart’s show taped at 6:00pm. “I did not explicitly state that Mr. Weiner had been deceitful last night. That he was a liar, and that I believed his pants to be on fire,” Stewart said. Though it turned out the only resigning Stewart did was to his dressing room to get his hand bandaged up. For the rest of the program, Stewart sported a bloodstained shirtsleeve and a wrapped-up wrist.